Our novel key holder and valet is both a handsome and handy solution for storing and locating keys. A super strong rare earth magnet hidden in the granite provides instant catch and release, while adding an element of intrigue. It easily suspends up to a dozen keys, and works with any standard key ring (included). A smooth cove carved into the base holds change, wallet, phone, etc. Soft feet protect surfaces. 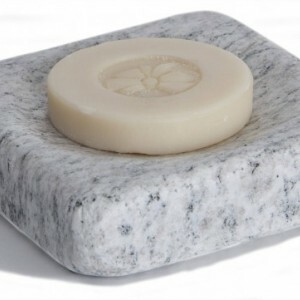 Handmade in New Hampshire from solid granite.